On Easter, we’re just as excited to get hopped up on the colorful Easter-themed sweets as you are — but don’t eat too much. Eating candy in excess can lead to tooth decay, weight gain and mostly likely — a wicked stomachache. 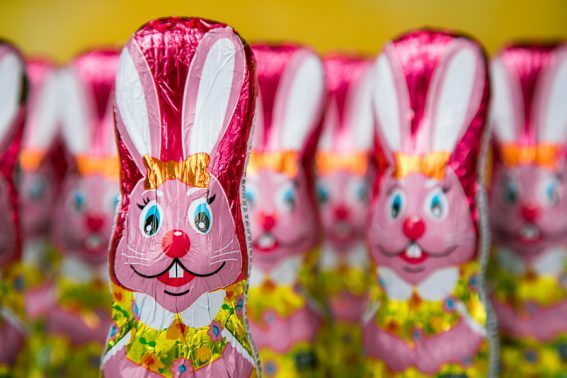 Now that you’ve been forewarned, check out our favorite Easter treats — there’s one for every palate and we’re always keen on sharing. Then vote on your favorite one below! When Peeps hit the shelves you know it's time to pick out your Easter outfit and start boiling eggs to decorate. 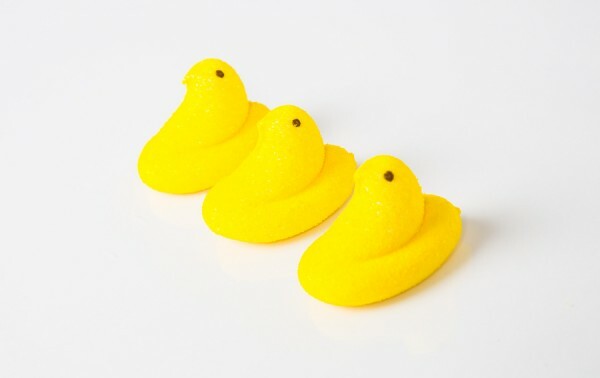 If you've never heard a peep about Peeps, this squishy marshmallow candy comes in a variety of colors, and in some stores, new shapes. 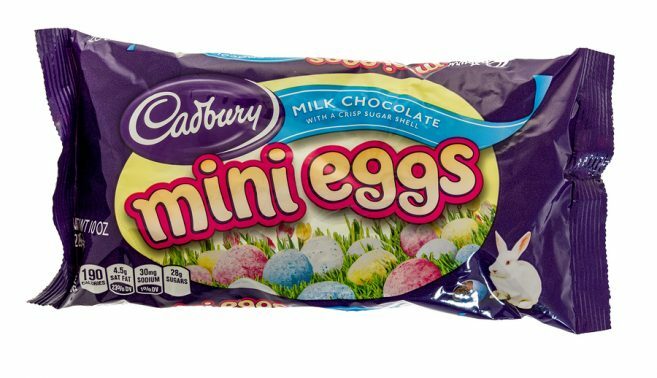 Probably one of the most recognizable Easter candies (after Peeps), the Cadbury Egg is a staple in every chocolate lover's Easter basket. With a chocolate-ty shell and creamy fake yolk center, one of these eggs is enough to satisfy even the biggest sweet tooth. Then of course, there's the classic chocolate bunny. Typically these tasty icons are hollow, yet some are filled with chocolate or other flavor fixes like caramel. 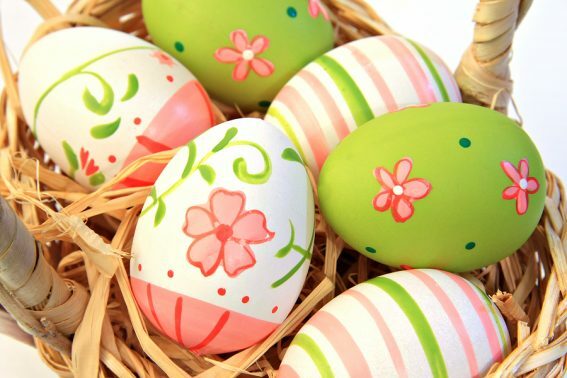 Probably a standard in any Easter basket, real hard-boiled Easter eggs are a tasty and healthy snack. Not only do they look good, they taste good too, giving your candy-coated stomach some much needed protein too. For those who aren't into candy, they're a nice staple that will keep you satisfied until the next meal. 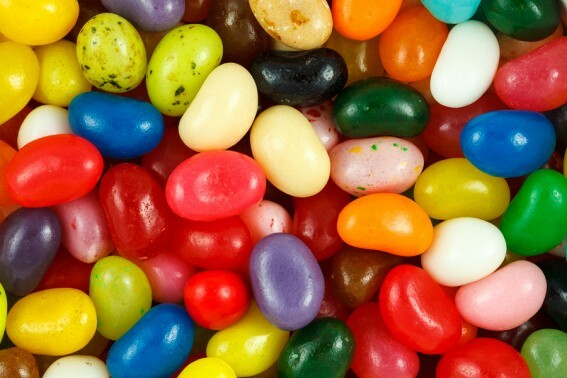 Though there are many different types of jelly beans from the classic fruity orbs, to the more gourmet Jelly Belly's, we'd also like to encourage you to add Jolly Rancher or Starburst jelly beans to your list of faves. Somehow the same punchy flavor is packed into each little bean. Yum! 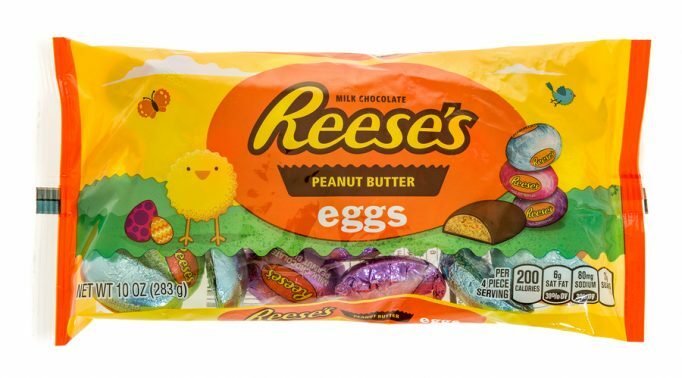 If you love peanut butter, then this candy is a must for your Easter basket. Think the best of a Reese's peanut butter cup mixed with the cheer of Easter, and that's what you get in this classic treat. 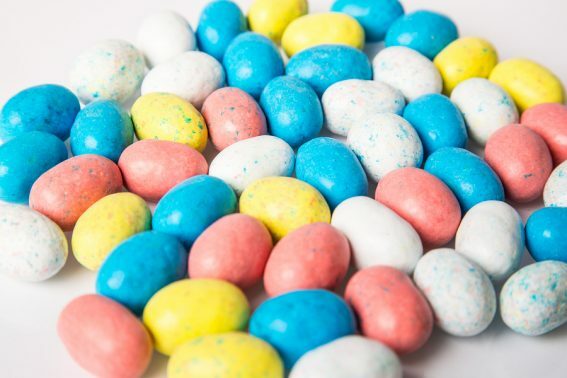 Nestled in our basket of sweets is one of our most favorite candies -- the malted milk candy goodness of Robin Eggs. Their speckled, cheerful colors not only remind us of the whopping good time to be had coloring Easter eggs, they have the right touch of crunch too. Easter is so much more than just candy…candy is not the true meaning of Easter. The true meaning of Easter is that we have a Risen Savior who came and died on a Cross on Mount Calvary for our sins. Jesus’ death on the Cross brought us Eternal Liberty from death and Sin and Eternal Life. He bore our sins as he died, and as Triduum begins, we remember the ULTIMATE SACRIFICE of love that gave us freedom and life for eternity. Jesus knew he could have saved himself, but he let God’s will be done, and he remained obedient until the point of death. He died for our Salvation, and no matter how far we’ve gone or what we have done, God still loves us. God loves us so much that his only son, Jesus, died on that cross so that we can be united with God. Jesus rose from the Grave, and He is ALIVE and he REIGNS FOREVER as Prince and Savior. That is the true meaning of Easter to me. I encourage you to look up the Easter Story and read it. Happy Easter! I think that is adorable. YUM! I think that is so cute. YUM! The robin eggs! I liked the picture with the LEGO guy in it! Cadbury eggs, Peeps, and boiled eggs are my favorite things to eat on Easter! I’ve never been a big fan of candy, but I make the exception on Easter Sunday. My favorite Easter treat is Peeps! I think I like the Easter Peeps.